Newspaper clipping - development of MCG Hotel disallowed. 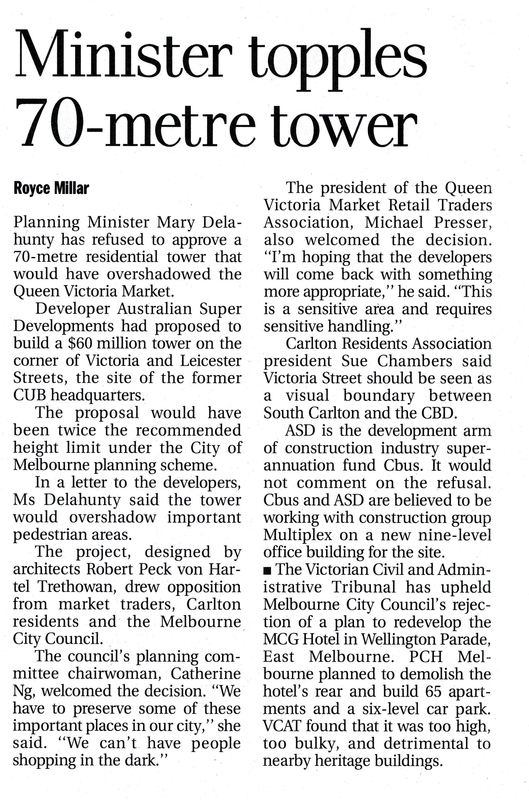 The Age, 15 May 2002. Later proposals, 2004. Also clippings about nomination of the hotel for Heritage Victoria register in 2004, based on its history in the foundation of Australian Rules Football. 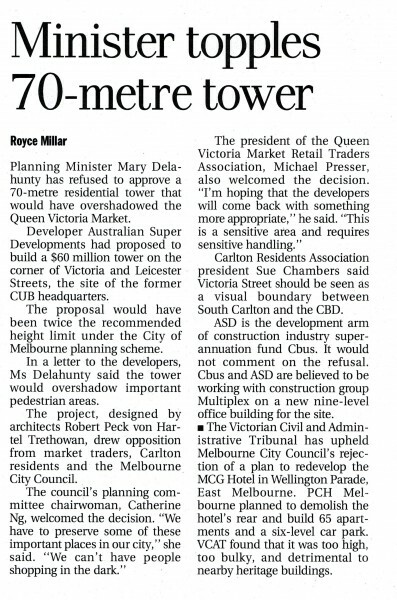 Clippings 2004-2005 about Minister for Planning's controversial approval of development of MCG Hotel along with upgrade of Hilton Hotel. East Melbourne Group loses Supreme Court challenge. Continuing controversy.